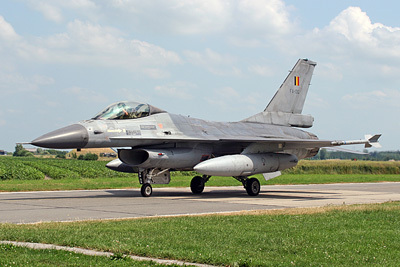 Koksijde airbase a very good airfield for aircraftspotting. There are very little trees on the airfield and taxiways and runways are close to the fence. As the fence is low, no stepladders has to be used. 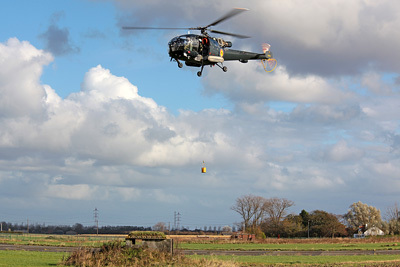 Due to low "FIRE CAT", visitors are limited to helicopters or light aircraft. 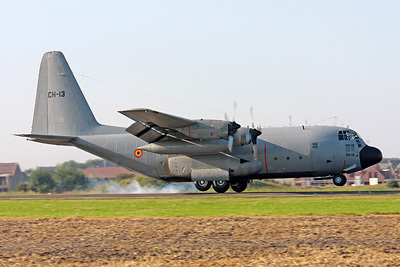 Jets or transport aircraft can only make low approaches, no full stop landings. 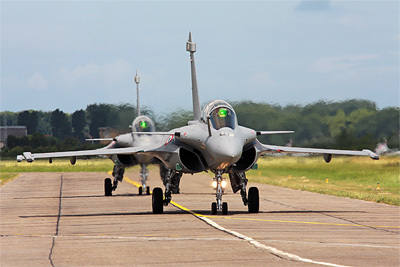 The airfield is open daily from 8h30lt to 16h30lt, except during the weekend and holidays. Mostely on Tuesday there is nightflight. 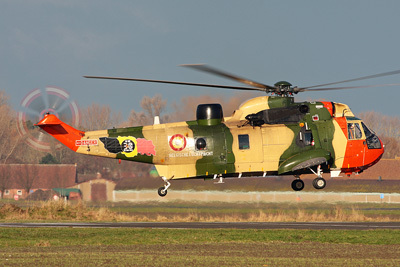 The local Sea Kings make at least one flight per day (also in the weekends and holidays!). 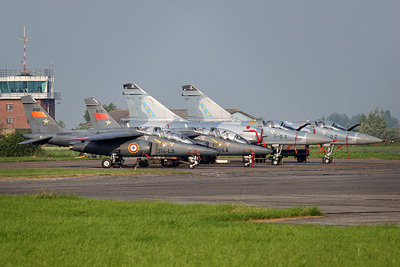 They are based in the 40th Sqn hangar which is situated in the north-western part of the airfield. They take off from the "SAR platform" into the wind direction. When multiple helicopters are outside, the second helicopter is on the "DDD platform" and the third on the "V8 platform". 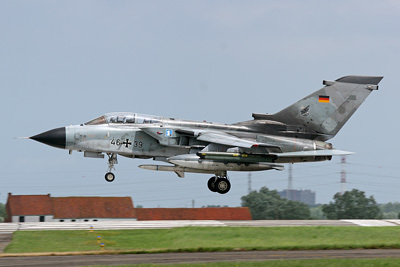 Most of their training is above sea, so they only take-off and land at the airfield. 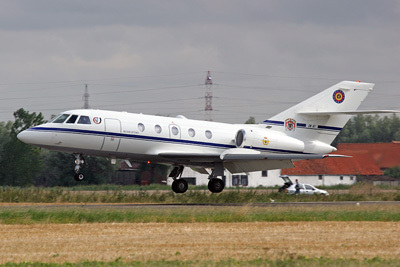 But before or after their mission, they mostely make at least one IFR approach on RWY29. Occasionally they do basic flight training on the airfield: autorotations on the intersection of both runways, winching excercises on "Bunker North" and "Bunker East", cargosling or approaches on the runways. The Navy Alouette III helicopters are based in the maintenance hangar, in the southern part of the airfield. After start-up they taxi to the "Old H platform" where they take off into the wind direction. When they do local training, they make approaches on the "D-spot" and excercise winchings on the "Dummy Deck", "Bunker North" and "Bunker East". The Alouette III helicopters only fly when the airbase is open, so not during the weekend and holidays. Before you come, its wise to check the notams. 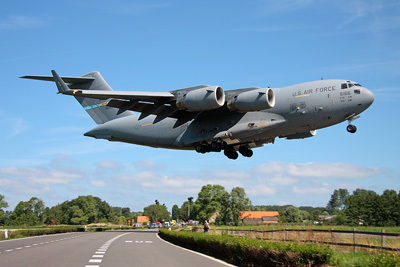 When you come to Koksijde for aircraftspotting, please behave yourself. Take your garbage with your and park your car on the correct spots. Do not damage the fence, or climb over it. This is the best spot for landings and take-offs from RWY11. You can park your car on the aeroclub's parking and you can walk along the fence to position yourself. 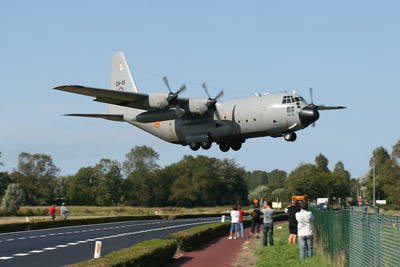 Taxiway S3 is only used by the civil aircraft of the aeroclub, but during the airshow the taxiway S3 is also used for the military aircraft. From here you have an excellent overview over the airfield. You can see the 40th Sqn hangar with the platforms as well as the visitors platforms. To reach this spot you can walk from spot 1, along the road, to spot 2. Visiting aircraft or helicopters are mostely positioned on the furthest platform. 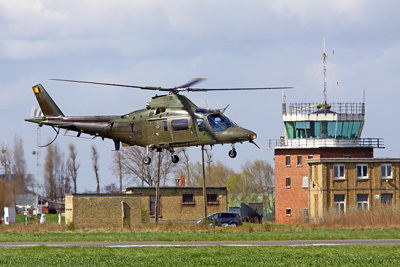 Helicopters always land on the runway and taxi to the platform, but sometimes they are allowed to take off from the platform into the wind direction. Spot 3 can be reached when you continu to walk along the road towards the town of Veurne. Here you have an other angle at the visitors platform, allthough its much further away from the fence. Sometimes visiting helicopters are parked behind the X-servicing hangar and can be seen from this spot. At spot 4 you have a clear view on RWY02/20. This runway is only used by the local helicopters and the civil aircraft from the aeroclub. 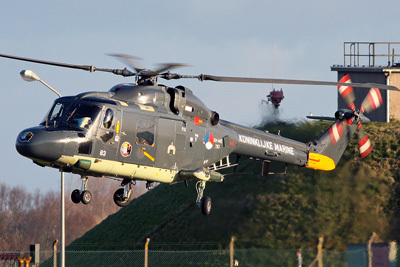 At the beginning of RWY02 there is the main helicopter platform where the Sea King or Alouette III helicopters are making approaches or doing excercises. At the end of a dirtroad you are just next to the taxiway S1. From here you can see the aircraft taxiing by from very close. Here you also have a nice view on the main runway and you are not to far away from the intersection of both runways where often the helicopters are manouvering. For landing and take-off pictures on RWY29, this is the perfect spot. You are next to the threshold of the runway. RWY29 is the runway used most, as all IFR training is on this runway. You also have a good view over the rest of the airfield. Between the fence and the runway, you have the taxiway, so nice taxipictures can be taken as well. Just south of the taxiway there is a bunker, called "Bunker East". This bunker is sometimes used by the local helicopters for winchingtraining. The helicopters can come very close and is spectacular to watch. CAUTION: when the helicopters are winching on the pylons of the gate, DO NOT stand under the helicopter as you could get wounded by things flying around from the downwash. Also park you car at a safe distance to prevent damage to your car. When you follow the road next to the fence comming from spot 6, you arrive at the canal. 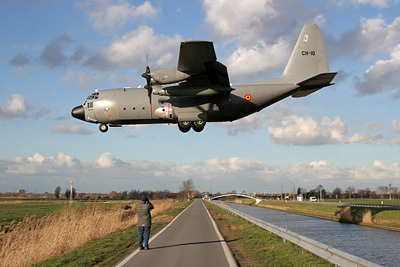 On the road next to the canal, you can position yourself towards the runwayaxis. Early morning, or when there is no sun, this is a great spot for landing and take-offs on RWY29. You can position yourself along the fence to your perfect spot. When you follow the road from spot 8 to the west, you will arrive at a turn. In this turn there is a gate, and there you have the best view on the intersection of both runways. As already mentioned above, autorotations of the Sea Kings are mostely done over this spot. This is also the spot to see the Alouette III helicopter working on the D-spot. 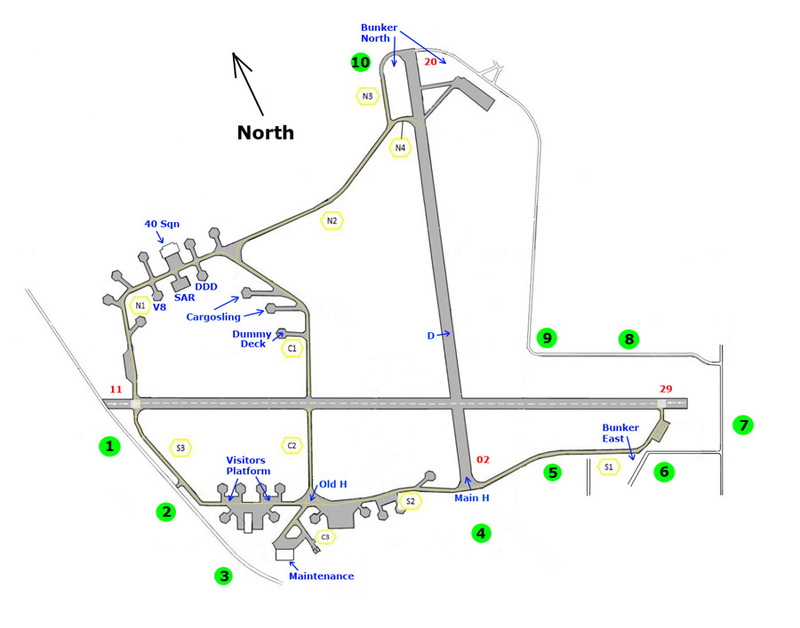 When you follow the road from spot 9 to the north, you will arrive at the beginning of RWY20. As this runway is only used by the local helicopters and the civil aircraft from the aeroclub, don't expect to much traffic here. With southern winds this runway is often used by the helicopters for approaches or excercises. 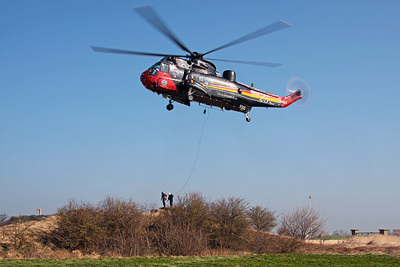 You will see an old brick gate at your left side, and on this wall the helicopters can do winching excercises. So again, you can come very close to the action. At the other side of the runway axis, next to the fence, you have a bunker, called "Bunker North". This bunker is sometimes used by the local helicopters for winchingtraining. The helicopters can come very close and is spectacular to watch. CAUTION: when the helicopters are winching on the brick wall, DO NOT stand under the helicopter as you could get wounded by things flying around from the downwash. Also park you car at a safe distance to prevent damage to your car.